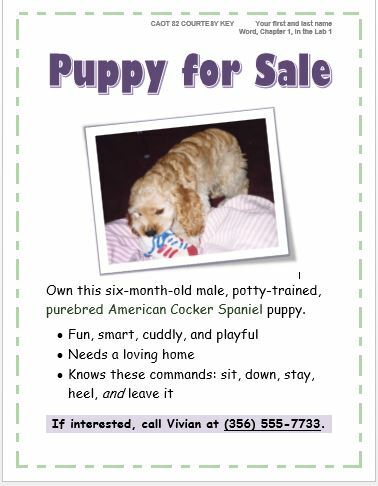 I’m seriously considering writing a pamphlet and placing them around Humane Societies, Veterinarian Clinics, pet stores and every bulletin board in every store I come across that has cute little posters like this. For all of the snuggles. For all of the smiles and laughter. For the comfort and companionship. For the quiet walks and long talks. For being the keeper of secrets and catchers of tears. For the truly unconditional, never-ending love. In 7, 9, 10, 12, 15 years from the moment you bring your snuggly, warm, fuzzy bundle of barking joy home. And unless they get hit by a car or pass on in their sleep, chances are they will get sick first. Either way, be prepared for the one of the most emotionally, heart-wrenching roller coaster rides you will ever endure in your lifetime. You may hear words similar to, “she’s only got a week at the most. We’ll have to put her down.” And those words.. The very possibility of those words coming to fruition will rip through your body from the tips of your toes to the ends of your hair. You will feel like every piece of muscle tissue, every nerve, every part of any part of you that can feel pain, will feel pain. It will ripple through you over and over and over again. And you will cry. You will cry until you think you cannot possibly shed another tear. And a part of you will feel like you’re going insane because you feel so helpless and there’s nothing you can do. Because there is nothing you can do. And if you’re like me. You’ll pray. I prayed the Rosary over our pup. For those of you who are not my friends on Facebook, our lit’l pup Luci, recently and very suddenly became ill. Fortunately, she is receiving treatment and should be back to her old self within the month. That being said, she was in doggy sickness limbo for over a week due to misdiagnosis by two vets. Enter vet #3. He said, “I’m the optimist.” We call him “the blessing.” He ran all of the appropriate tests and determined that Luci, in fact, had/has a UTI, a kidney stone and a kidney infection (due to the stone.) A month of antibiotics and our lit’l Luci should be good as new. I know people do. Their beloved dog or cat dies and in time, they find another furry friend to bring home. I don’t know how they can but I understand why they do. I could not. I will not. The pain I experienced at the very thought of losing Luci.. The idea of experiencing that ever again?? I know it’s selfish. I know there are hundreds of furr friends out there that need homes. But they won’t be getting one from me. I won’t put myself through it and if that makes me a wuss, so be it. I would rather an entire NFL team beat me and leave me in a body cast from head to toe than feel that pain again. One of the things I found most frustrating during this time of Luci’s illness was the realization that dogs and cats – I speak of them because they are our most common home companions – don’t live nearly long enough! I danced on a double edged sword. At the same time I was praying to God to heal Miss Luci, I was so angry with Him for giving her and her other furry brothers and sisters such a short life span. Again, selfish I know but honestly, I just don’t get it. Of course the lesson here is, as it is with all of our family members, whether on two legs or four, is to cherish your time together. This is not to say that our love for our animals surpasses that of our love for our parents, brothers, sisters, children, grandchildren, aunts, uncles or grandparents. Surely it does not. – At least for me. But the lesson still rings true..
We, you and I, and our families, including our furry family members, are gifts. 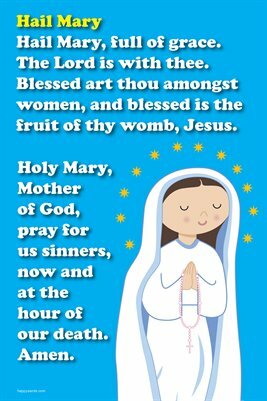 When I prayed this over Miss Luci I changed the, “pray for us sinners, now and at the hour of our death. Amen,” to “pray for Miss Luci, now and forever more. Amen. About the time you and your dog know each other and respond to voice, hand (tail) and facial expressions without even thinking about it, they start to get old. If they were just disposable it would be easy, but they actually become indispensable and it is so very hard. I am with you, I can’t go through the heartache again, but they are wonderful while we have them. I hope Miss Luci recovers fully and you have many more wonderful years together. Thank you so much Cranky. She’s actually doing quite well. Not a fan of the “bland” diet but for now it’s a must. And I totally agree, they are wonderful while we have them, and it is so very, very hard. I know that feeling oh so well…and still I keep doing it to myself. Masochist I guess. I thought when I had to put Tasha the wonder dog down that I would never do it again. But the house seemed so EMPTY! So we rescued our Mocha, now 12 and getting slow and stiff. But I wouldn’t trade the good times for anything. So when Mocha’s gone, I’ll get another. Had a dog for 50 years now, it would be too strange without one. Well God bless you Joe. I can’t imagine going through this more than once. And of course I say never ever but what if one day I find my house empty too?? I don’t know. For the moment I am just taking every single moment we have with Luci and enjoying it and letting it soak into my soul..
Soooo true…..I know the end is near for my little Pepperbean and I am dreading it so bad. Sagan’s going to be so lonely w/o her…but he’s almost 11 himself. We will have future dogs but I do need a break. I’ve been tied down for way too long…I did it willingly, but I’m too worried about their separation anxiety to board them. I am so afraid that they think I am abandoning them. We had a wonderful vet and he always did everything he could to make sure Little Bit could be with us as long as she could. I’m so glad you got a good vet and the right diagnosis. Isn’t it just awful Sandee?? Even now you’re still crying. I will cry over Luci, and I just cannot do this ever, ever again. 😦 I am so, so thankful for vet #3.. Such a blessing, and our Luci is alive today because of him. The optimist.. Me too.. I believe pets are truly more than pets in most households. They are fury family members. I love your post and everything was right on! I don’t know that I truly believed that until Miss Luci got sick Jolene. I mean you say you love them but then their little heartbeats are out of your hands and I don’t know.. I spent so many days on my knees, flung across my bed, praying and begging God. – Thankfully He listened. 🙂 – Thank you for your comment Jolene.